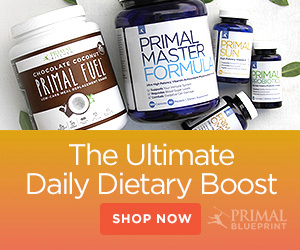 Hello, my name is John and I have been following The Primal Blueprint since May 5th, 2014. When I started I weighed 251 lbs with a BMI of 33.2. I was officially obese. I also had a disease called Idiopathic Pulmonary Fibrosis (IPF). My lungs were reacting to some past damage and had gone into overdrive creating scar tissue. Basically, they were turning into raisins. Outside of a lung transplant, there is no real treatment for this disease. There are a couple drugs that have recently been approved by the FDA that do help some people slow the progress of the disease, and more in the clinical trial pipeline that look even more promising. I feel like now is the time for me to finally share my success story, though I will be the first to tell you the journey certainly continues! I was an active teenager and fit all the way into my college days. While no one would have ever said I was skinny, having a thicker bone structure and build, I was certainly never fat or even overweight. Enter the college experience. Most guys will know the college routine. Pizza, video games, football games, beer, wash, rinse repeat. Do that for a few months, let alone years and well… you start wearing all that sugar and grain from both solid and liquid forms. Going Primal Will Change Your Life for the Better! Since I wasn’t very happy with my heath (high body fat percentage, many allergies, food intolerances, frequent headaches, blood pressure, etc. ), I first tried the Zone Diet by Barry Sears. Before adopting a Primal lifestyle I was quite overweight and I was plagued with many health issues: allergies to pollens (a lot of them) and dust, frequent joint and back pain, frequent (almost daily) migraine attacks, difficult digestion, gastric reflux, sleep apnea…just to name a few.